Waking up to the sunrise is a great way to start the day, however if nature sounds isn’t your thing but your favourite radio station and a nice bit of music is then a DAB radio is a must on your wake up sunrise light. 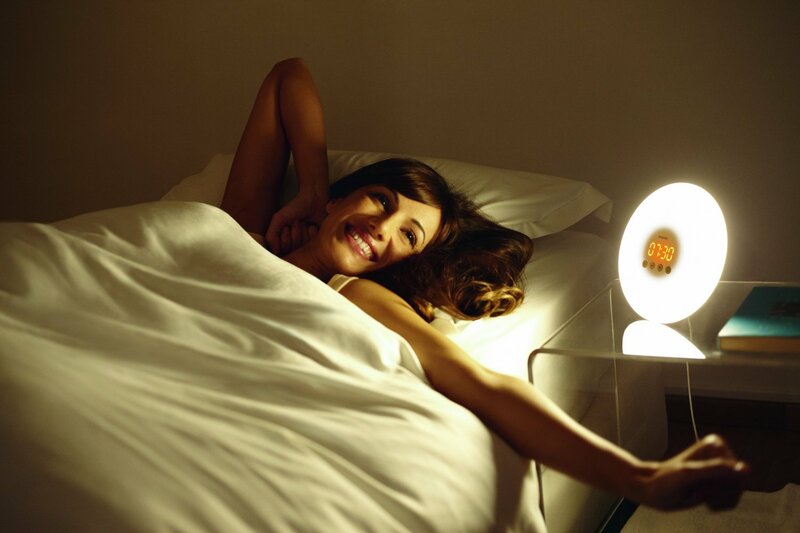 We have rounded up the best Sunrise Wake up lights that feature a DAB FM radio making your morning that little more fun. Below our our top DAB sunrise wake up lights, al feature a FM radio allowing you to wake up to your favourite station in the morning. 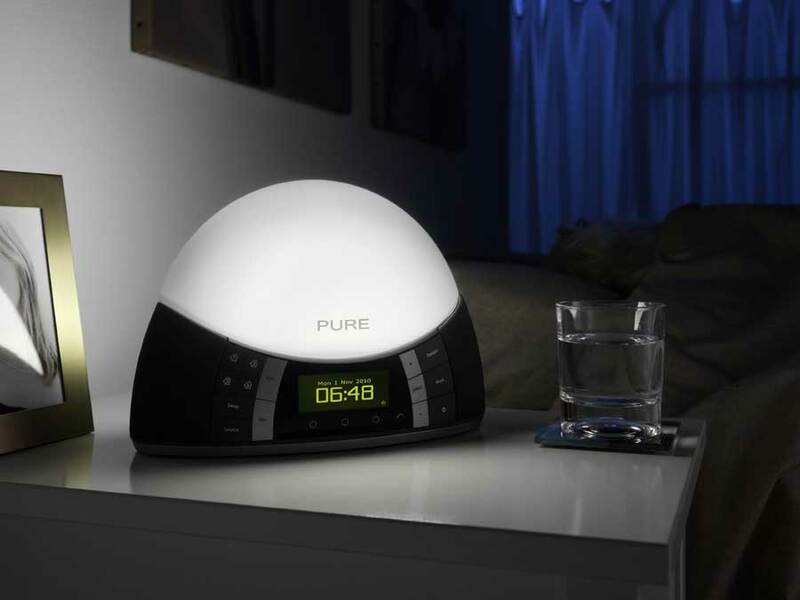 The Pure Twilight is a great choice if you are looking for a built in DAB radio, while it has a choice of 4 independent alarm settings, with wake to tone, you can also wake to the digital radio. The FM radio allows you to wake up to your favourite station in crisp clear DAB quality. 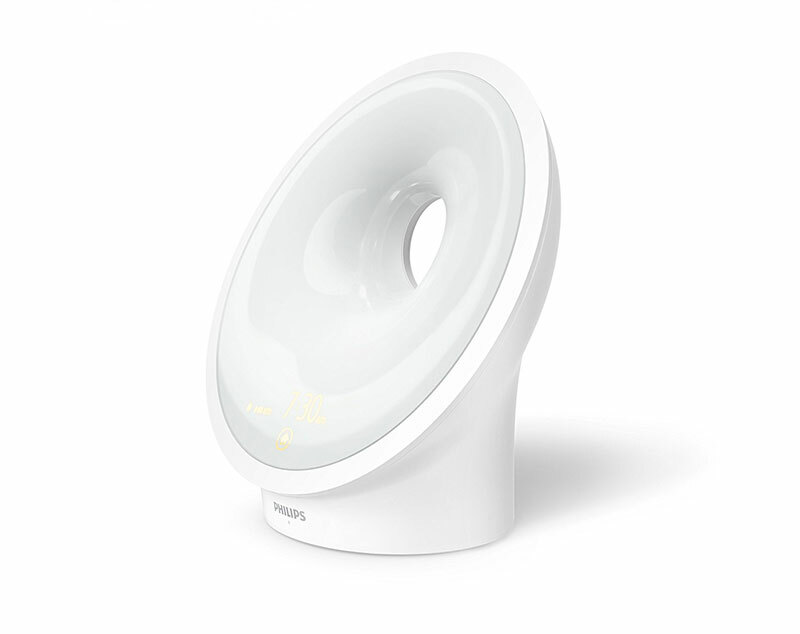 This sunrise light alarm has 6 energy efficient LEDs built in that provide rainbow of colours for when you wake up. It has a stylish sleek design and it very easy to use, there are large clearly labelled buttons to the front and with the DAB radio built in, stations are all attuned for you. 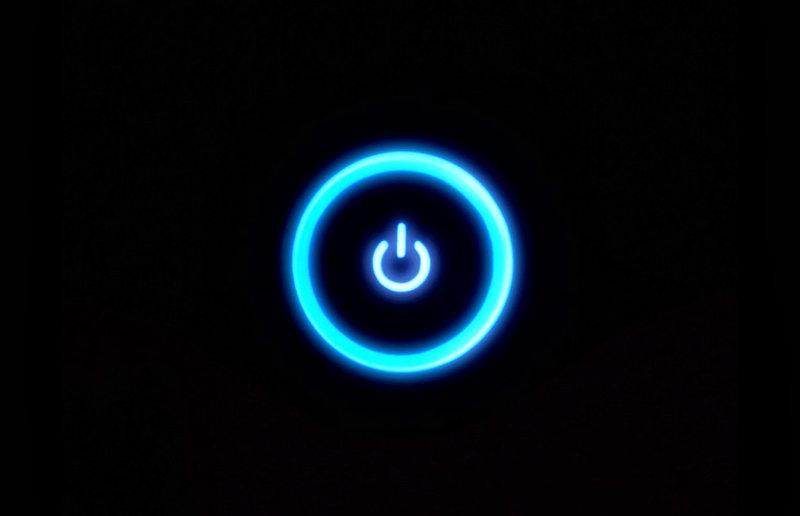 DAB radios are becoming more and more popular however when it comes to sunrise alarms the choice is limited, so we have also rounded up our top wake up lights that feature an FM radio built in. This top of the range model from Philips comes with a built in FM radio. 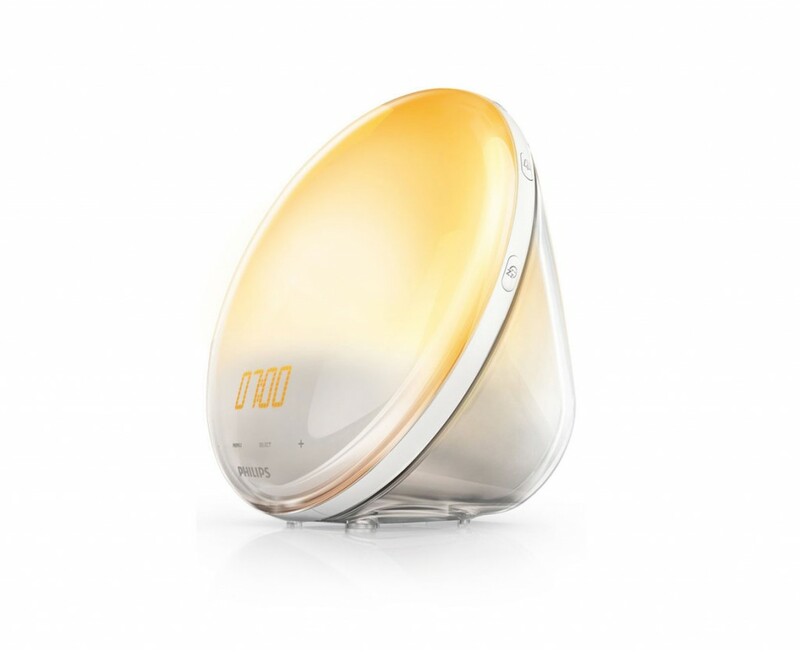 None of the Philips Sunrise lights have a DAB radio but this model does allow you to wake up to the sound of your favourite FM radio station. 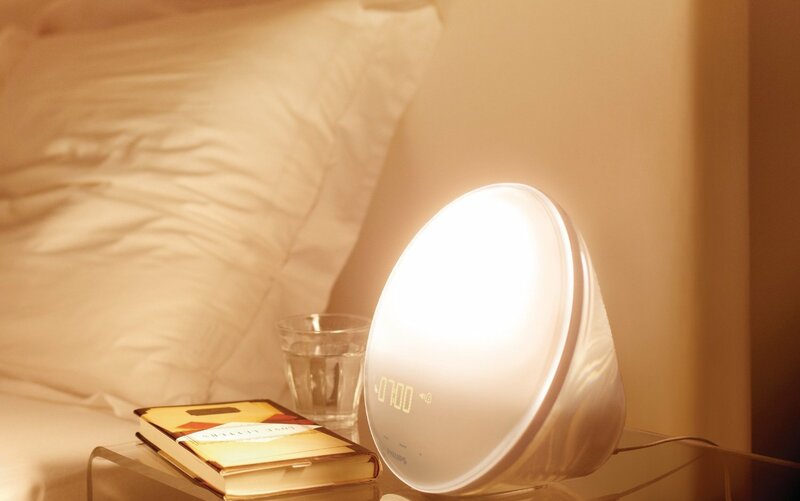 As far as a sunrise wake up alarm this is a great choice, it has a great range of options and is easy to use. It has a built in snooze function, a choice of 5 wake up sounds or the radio. You can adjust the sunrise and sunset duration to suit and can have two alarms set. 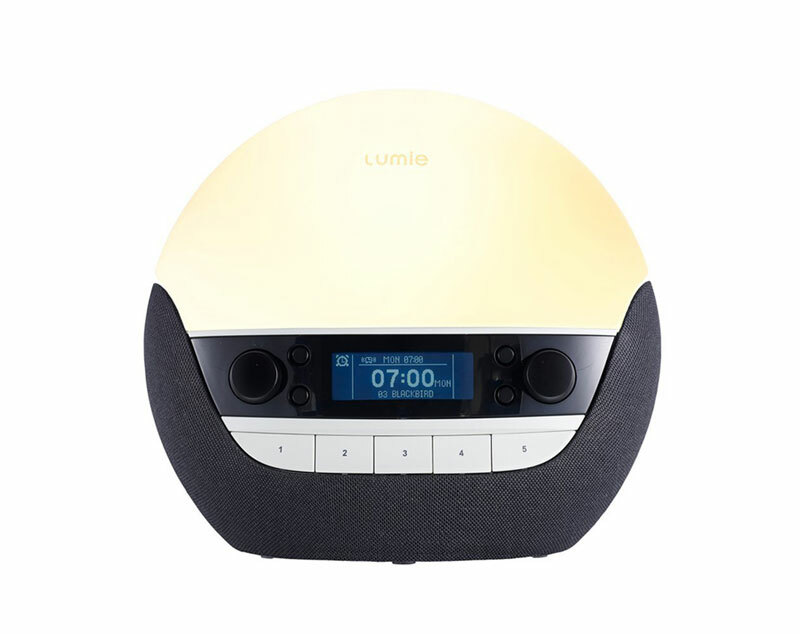 Another choice is the Lumie 250, a simple design and a basic wake up alarm it does have a built in digital radio. 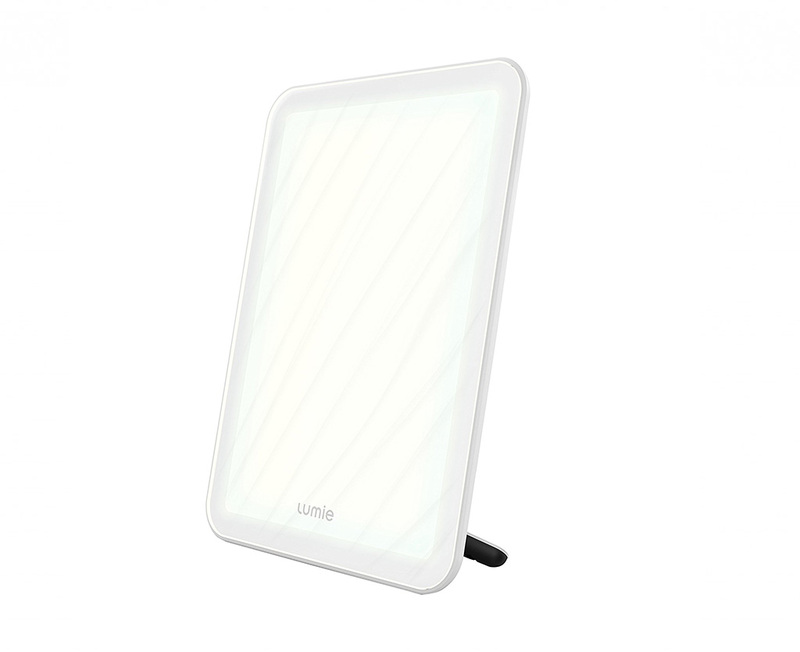 Other features include a 15-90 minute sunrise and sunset options, doubles as bedside light, nightlight and security light, snooze function, dimmable display and it also comes with a 2 year guarantee. This is a great sunrise alarm and the built in FM radio is a great addition, it is easy to use and works really well. The design is basic but it works very well and the sunrise lighting effect is really great. 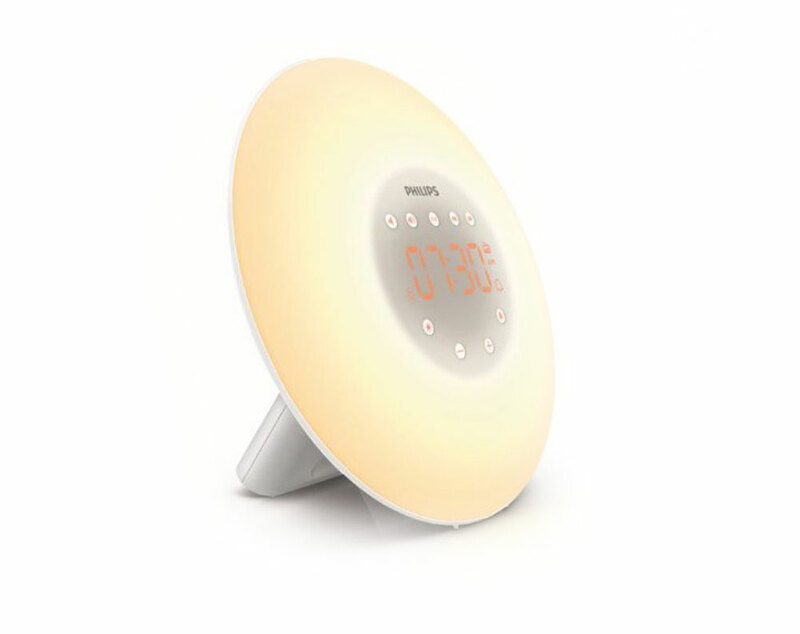 The Philips Wake-Up Light Alarm Clock HF3505/01 is a more basic sunrise light from their popular range but it still includes a FM radio built in. 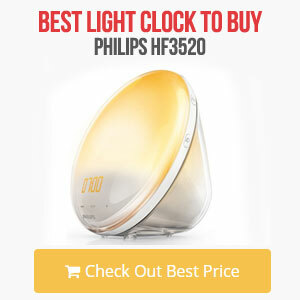 With it being a little more basic then the Philips Wake-Up Light Alarm Clock HF3520/01 it is also cheaper making it a great choice if you are on a budget. 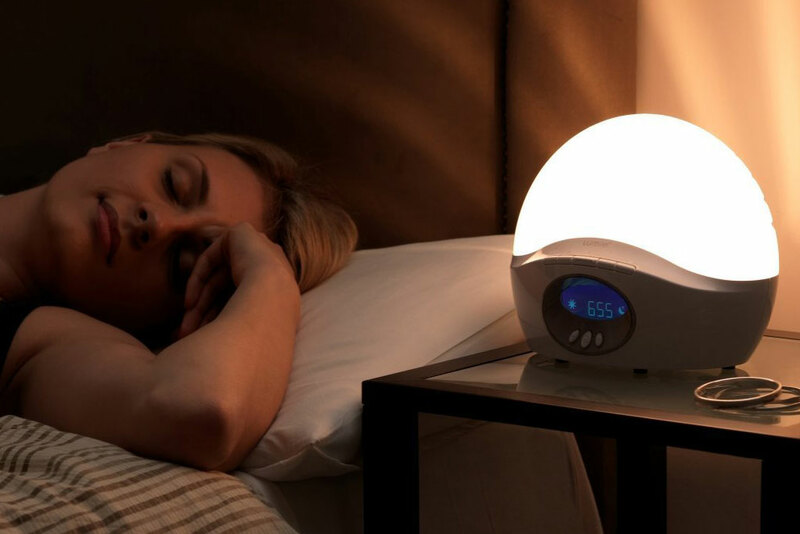 It still has a quality and modern design while being simple to use and working really well as a sunrise wake up alarm clock.